Devon has two exciting paintball venues to choose from all offering great facilities and tactical game areas. Paintball in Devon has the Exeter and Torquay sites, each one with great transport links allowing easy access whatever your location. 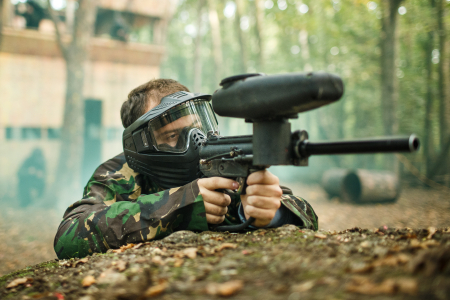 Paintball in the Devon woodland is an amazing experience and these sites spend time each year constructing exciting fields that will test your bravery and paintball skill to the max. Use the map above to click on the pin in the desired location for full park details. We look forward to seeing you on the battlefield soon.